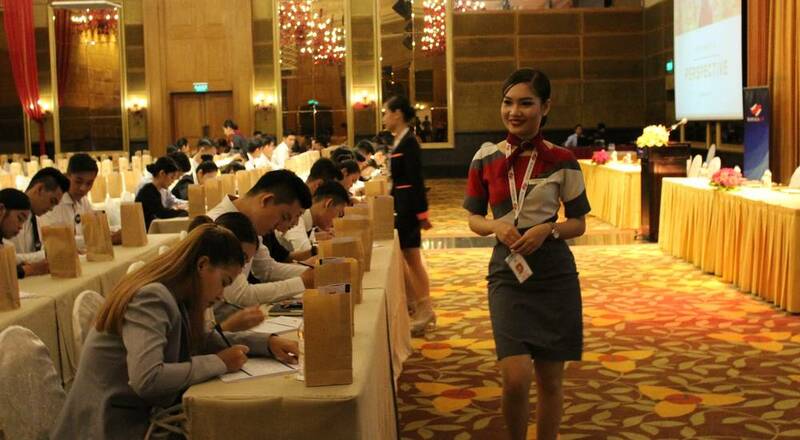 Phnom Penh, Cambodia – October 27, 2017: BASSAKA AIR holds Cabin Crew Assessment event and hundreds attend. Amidst rapid expansion, Bassaka Air continues to search for energetic, vibrant, and ambitious men and women to provide five-star customer service to all Bassaka Air passengers. Many young men and women attended the event to showcase their talents in hopes of one day joining the Bassaka Air family. Over four hundred applications were received by the Human Resources department and about two hundred applicants were invited to attend the event on October 17th. To attend a future Assessment event, please wait for the next round of open vacancies, submit your CV to the Human Resources department, and receive an invitation to attend. “As a Bassaka Air Cabin Crew, you are the face of the airline and this event may be the beginning of your journey to a new and exciting career” said Joaquim Gonsalves, Bassaka Air’s Director – Human Resources.